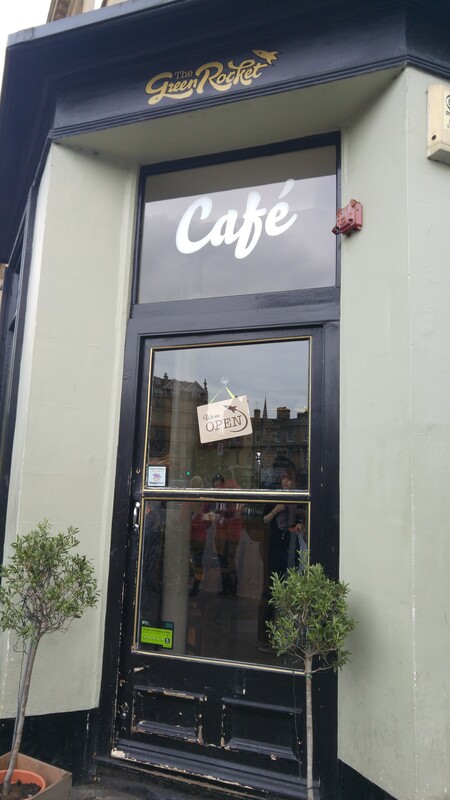 Today’s OOTP comes from The Green Rocket, a wonderful veggie / vegan café in the divine city of Bath. What a day that was – theatre, pubs and lunch at this place (not in that order!). The Green Rocket has a varied and eclectic menu which offers some great vegan choices. 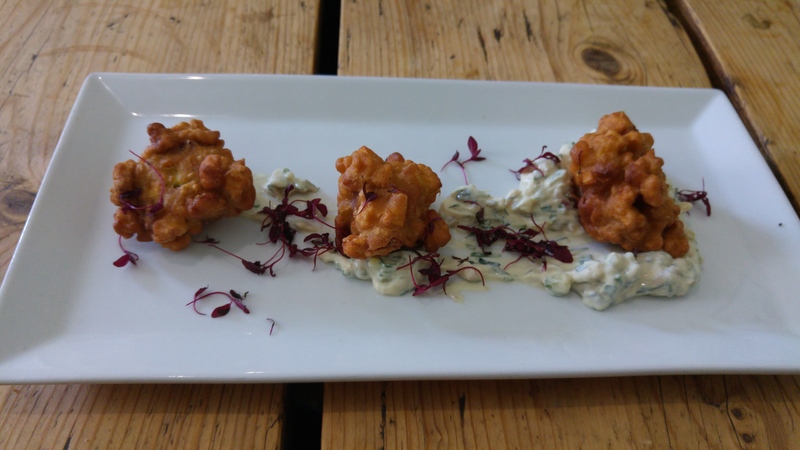 This was my starter – Celeriac Fritters served with a dill and tarragon remoulade. The fritters were light, crispy nuggets and not at all overpowering as I find celeriac can sometimes be. The creamy dill and tarragon was a tasty accompaniment of contrasting flavours. Have a look at The Green Rocket website for a range of their menus. The Bath Christmas markets start on the 26th November so there’s a great reason to pay them a visit!